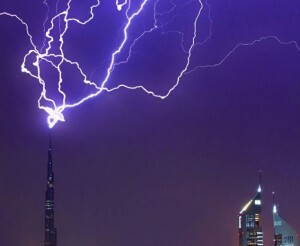 And, in an amazing stroke of luck, the moment was captured on camera by Palestinian Mahmoud Hamdan, who was watching a huge thunderstorm roll in over Dubai. 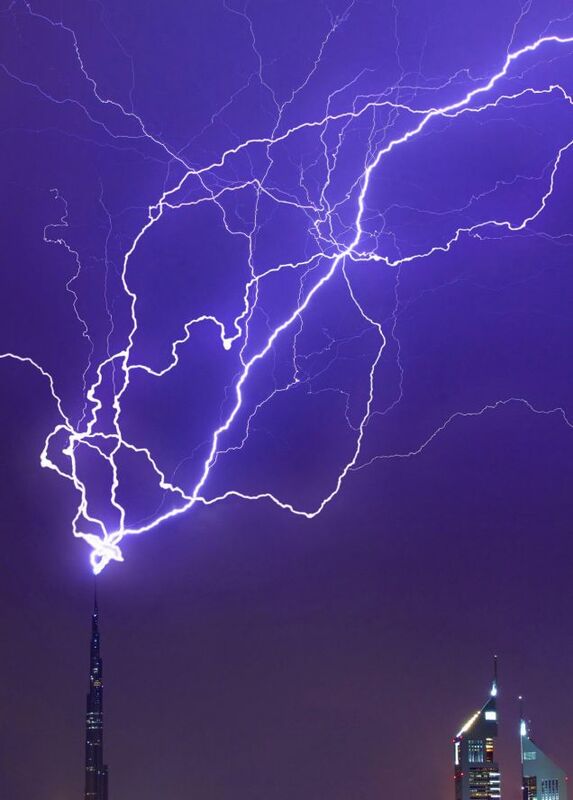 ‘I was so happy and I was waiting for this moment for a long time, especially as it was my first experience with my new camera,’ said the 23-year-old, who is studying architectural engineering in the United Arab Emirates. Completed in January, the160-storey Burj Khalifa tower stands at 828m (2,716ft).